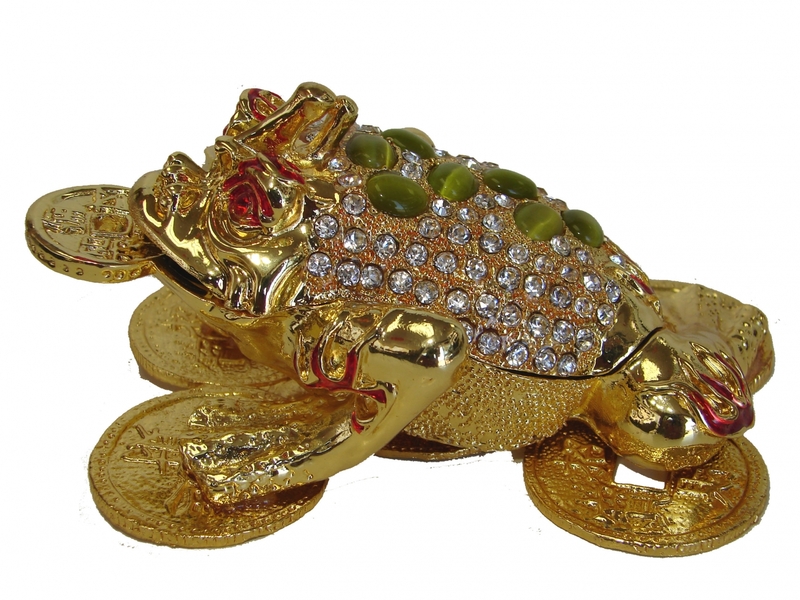 The beautiful bejeweled cloisonne money frog with one coin in its mouth is one of the excellent feng shui products to attract money. The Chinese coins under the money frog are the symbol of wealth and the 7 gem stones on its back are used to enhance the power of attracting wealth. 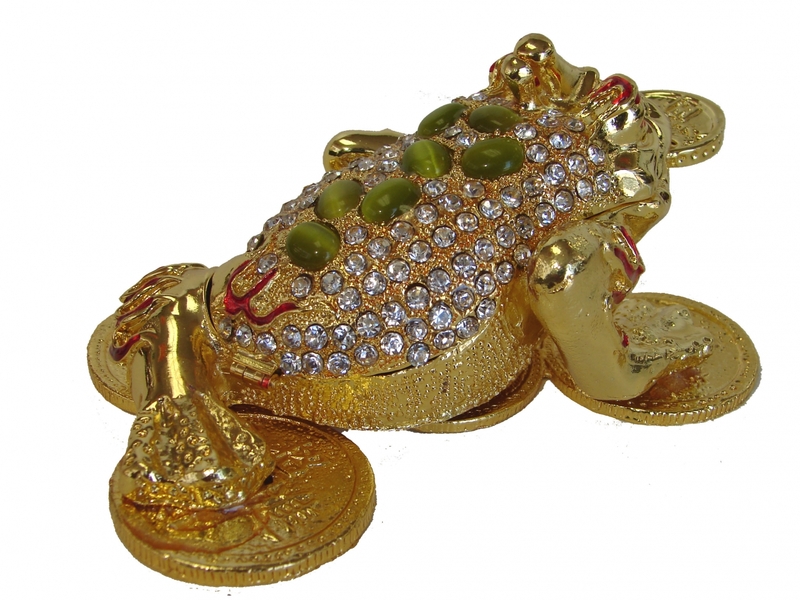 Feng Shui money frog is the most common used feng shui product in pratice feng shui. Feng Shui Money toad is also called three legged toad or three legged frog since there are 3 legs only. It is made of cloisonne. The dimension of it is approx. 5 1/4" x 3 1/2" x 2 1/4".